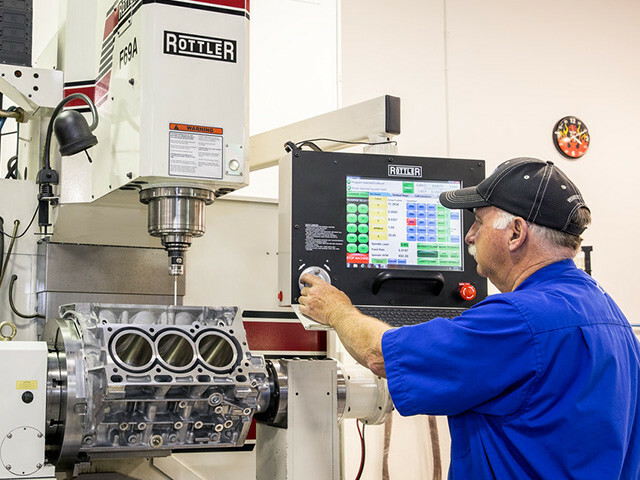 Roush Yates Engines’ core business includes designing, testing and building purpose-built race engines. 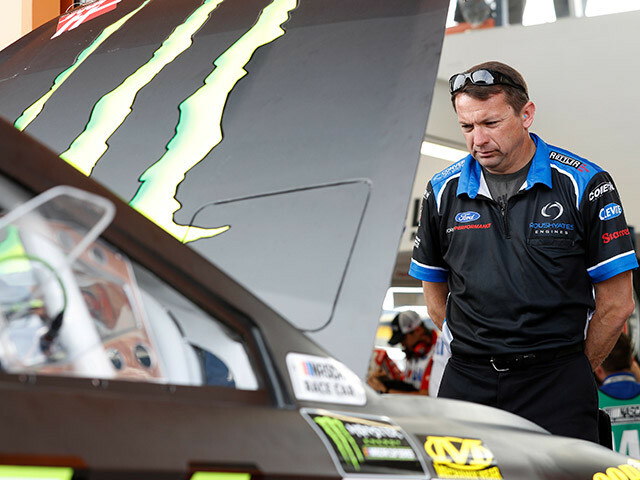 A dedicated team of engineers, technicians and track side experts work together with Ford Performance to build the most powerful and reliable engines in racing. Through the use of advanced modeling software and rapid prototyping our Engineering Team is able to take ideas from a white board through production in the compressed time frames demanded by high level race programs. Each individual on the team brings with them a significant depth of knowledge across a broad range of motorsports and OEM experience. This bench strength is essential when brainstorming new and innovative ideas, rapid problem solving and pushing the limits of engine performance and reliability. 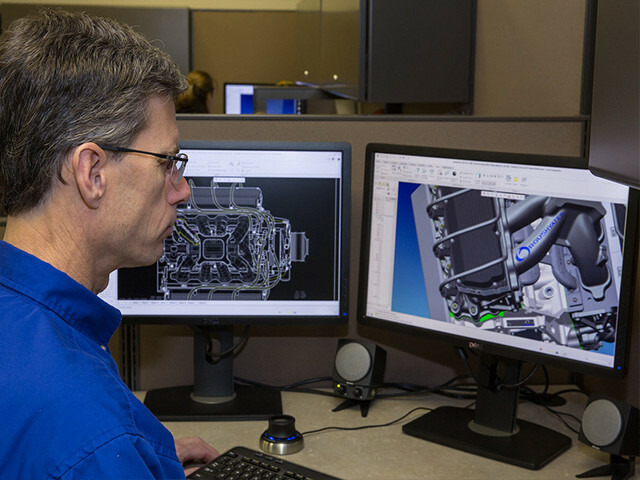 The development staff at Roush Yates Engines uses a system level approach to development. This approach includes parallel development of hardware, software, controls and calibration to ensure the base engine and all integration components are optimized as a system to maximize performance, reliability and fuel economy. 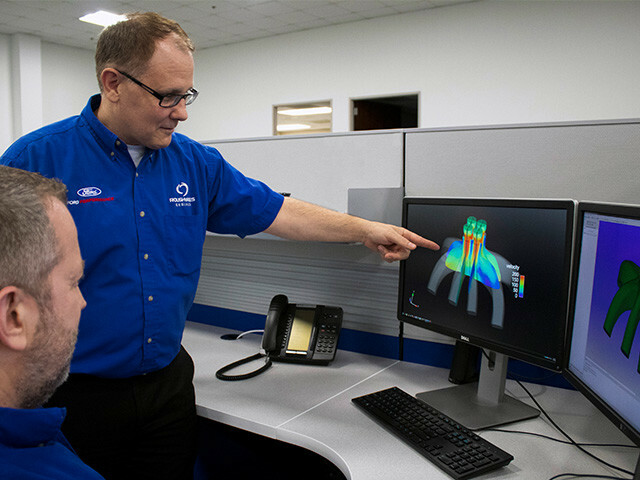 In the design process we use advanced analysis and simulation tools to quickly evaluate concepts and components in a controlled environment before applying them at the track. Analysis is used extensively to ensure all components meet structural requirements while minimizing weight. We also use advanced engine control development to optimize traction control systems and turbo control systems as well as running diagnostic testing. Our simulation tool set also gives us the ability to run track simulations based on real world race data to develop and manage unique race strategies to ensure optimization for every track. Through our collaborative development process, engineering experience and state of the art test equipment we are able to setup tests in lab environments which closely represent on-track operating conditions. This correlation between lab and track is essential when developing and testing engines under compressed timeframes. Roush Yates Engines also provides track side support which includes real time data analysis and optimization of the engine calibration and controls system to maximize engine performance.